Celebrating 20 Years of Sun Dream Yacht Charters' Support of the Opera. Sun Dream Yacht Charters, our generous sponsor and The Opera Society cordially invite you to a Luncheon Gala aboard the "Caprice." 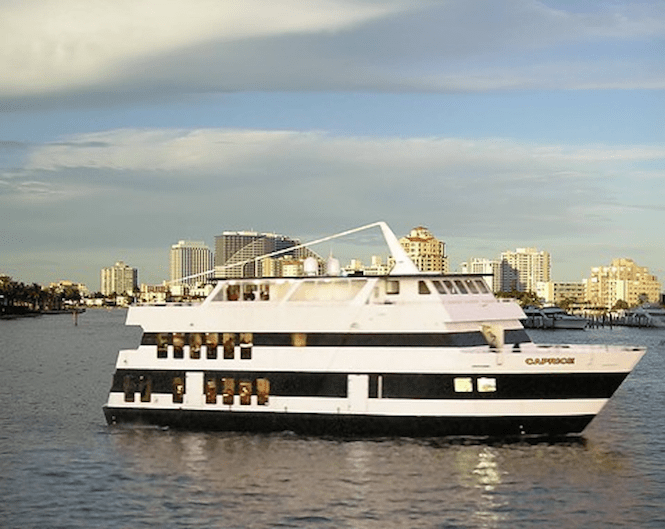 Enjoy the Mimosa and Bloody Mary Bar as you cruise the spectacular waterways of Fort Lauderdale, a wonderful performance by the Florida Grand Opera's Justin Moss and the Young Artists along with a superb luncheon. Space is limited so make your reservation early. All proceeds benefit Florida Grand Opera. After you press "Submit" you can choose to use a debit or credit card by clicking on "Don't have a PayPal account" if you wish.